LAHAINA - The positive energy and nurturing care of the Boys and Girls Club in Lahaina are clearly evident as soon as you walk through the doors of the recently renovated community facility. Director Danae Marin stands tall among the children scurrying about in multiple directions around her as she greets visitors and oversees the various activities designed to help develop a healthy foundation for them. The mission statement of the Boys and Girls Clubs of America reads, "To enable all young people, especially those who need us most, to reach their full potential as productive, caring, responsible citizens." 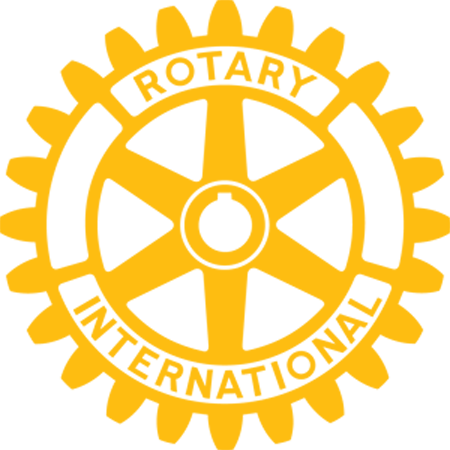 To this important goal, the organization strives to provide guidance into five specified areas: education and career, health and life skills, character and leadership, the arts, and sports, fitness and recreation. The Lahaina Club's recent renovation added much-needed space for this community center that serves families with care for children five days a week from after school to 7 p.m. There is a study room, tech center, industrial kitchen, multipurpose room, and exercise room with weight machines, along with a full court for basketball and dodge ball; a large field for football, soccer, softball, and kickball; playground equipment and the public pool across the way. Thus, a wide range of activities are offered for the children to learn and grow in the caring environment of the Boys and Girls Club. There are Media, "Foodie" (culinary), Builders, Drama, Film and Diva Clubs, mechanics, chess, music, arts and crafts, weight training, dance and much more, including the board games and sports on the outdoor courts and fields. 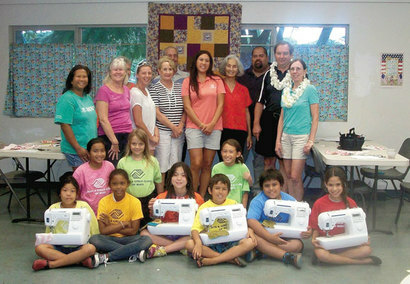 This past summer, the Lahaina Club partnered with the Rotary Club of Lahaina Sunrise to launch a Sewing Club for the kids. West Side Rotarian Carmen Karady and Lahaina Club Director Marin led the way for the organization to receive five new Baby Lock Grace sewing machines and four Viking machines for the club to use to teach the children how to sew. "Honorary Rotarians Ron and Barbara Spalding coordinated the arrangement with Bob Miller, the owner of the Singer Sewing Center in Kahului, for the Baby Lock Grace machines...," said Karady last week in the midst of the unveiling ceremony at the facility. Anna Norris and Kella Budinis provided two Shark machines, and John and Louise Severson brought in the Viking machines. Under the watchful direction of the Spaldings, who previously owned a sewing store in Pennsylvania, as well as volunteer training assistants Karen Voycik, Brandie Henderson and Jill Brunold, and B&GC Lahaina Team Director Lani Cabanilla-Kellett, the children took to the tables to eagerly embark on the path of a new life skill. "We are thrilled to be able to promote this activity to help the children learn new life skills and enterprising, and we hope the community will further contribute to this effort with donations such as materials to make quilts," said Karady. Club members' inaugural stitches were celebrated with the presence of Zeke Kalua, executive assistant to the mayor, as well as past Rotarian Chuck Schneider, the Spaldings, Marin and her staff, the volunteer teachers and, most important of all, a dozen bright-eyed Lahaina kids. Indeed, a sterling effort to enrich our community with care for the keiki. For more information regarding the Boys & Girls Clubs of Maui-Lahaina Club, call 667-9314.